The 1986 Alice Springs Masters Games (then called the Central Australian Masters Games) became only the second event of its kind to be staged in the world. The only previous multi-sport masters games was the first World Masters in Toronto, Canada in 1985. The Games and the concept developed in to a success story and quickly earned the reputation of ‘The Friendly Games’ because of the camaraderie and good spirited nature of the competitors and the environment created by the games village atmosphere of Alice Springs. That spirit is now carried around Australia and overseas by the thousands of people who have experienced the Alice Springs Masters Games. The ‘Friendly Games’ tag has stuck ever since and it is easy to see why. 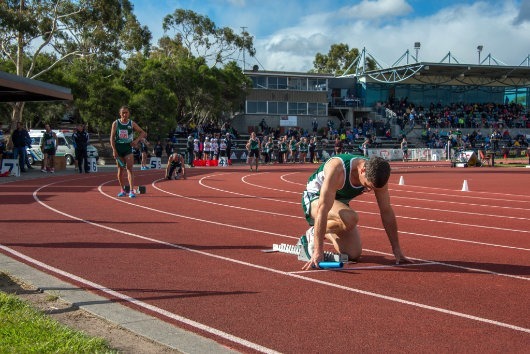 The Alice Springs Masters Games has reached some amazing milestones over the years. In 2004 the Games celebrated 10 successful games, and then in 2006 the Games rejoiced as they reached 20 years of prosperous Games in Alice Springs. What is even more extraordinary is that over 100 competitors, officials and volunteers have been a part of the Games since 1986 – a remarkable achievement for all those people. Participation in sport is a lifelong activity. Masters sports contain fun, camaraderie and good-spirited competition. That is why the Alice Springs Masters Games adventure continues in 2018.